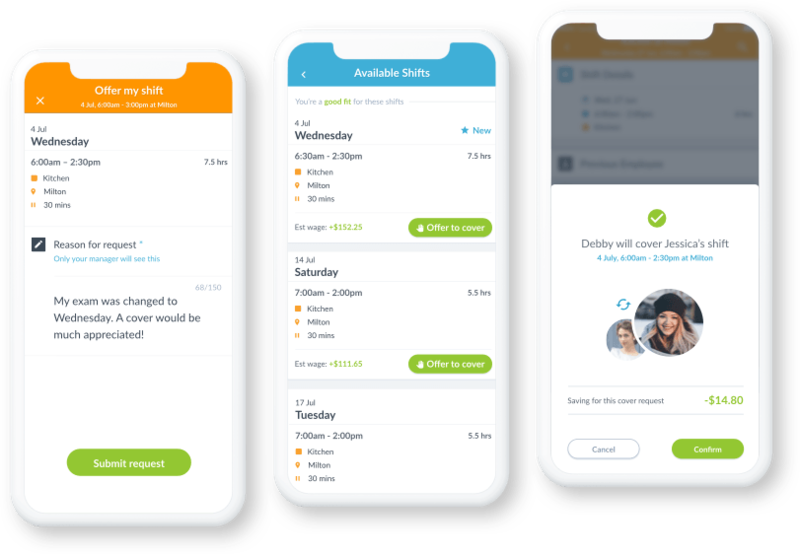 Whether you need to replace an absent employee, edit shift times, or check who’s working, the Employee Scheduling App has you covered. 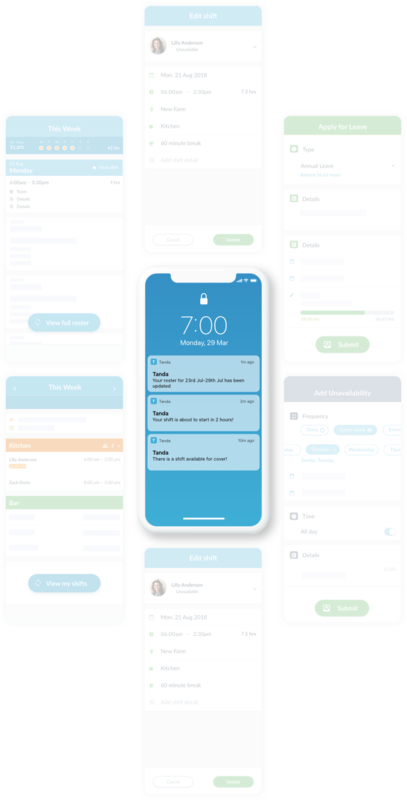 Tanda’s scheduling app gives managers the information they need to run a shift on the go with automatic notifications and tools to respond to changes throughout the day. See who’s coming in for the day and when they start. Keep an eye on multiple teams and venues straight from your phone. Need to send someone home early or have them stay late? 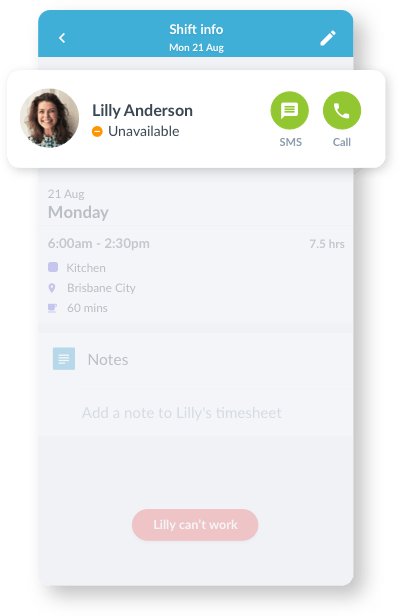 Quickly edit shifts from your mobile device with all the employee information you need. Staff are notified when new rotas get published, when their shifts are about to start or when there are vacant shifts to fill. They can also submit time off requests from their phone. View the rota at a glance and make changes as needed. Easily call someone in or send someone home straight from your phone. 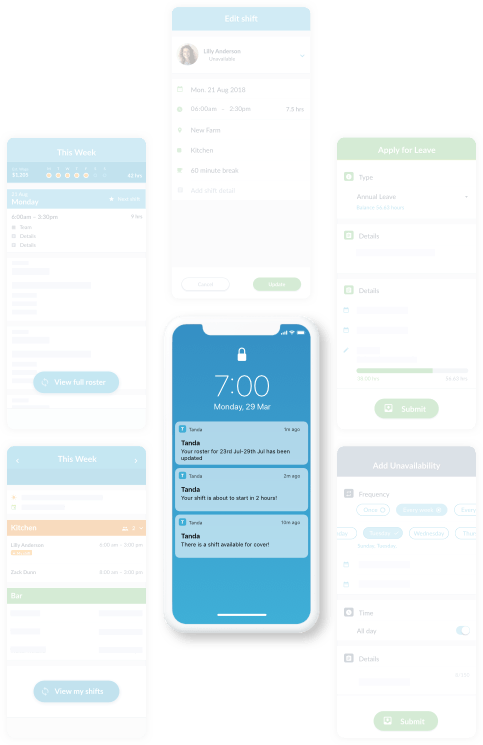 Tanda’s Scheduling App notifies the manager on shift when staff are late, working beyond their rota, going into unexpected overtime or not taking a required break. 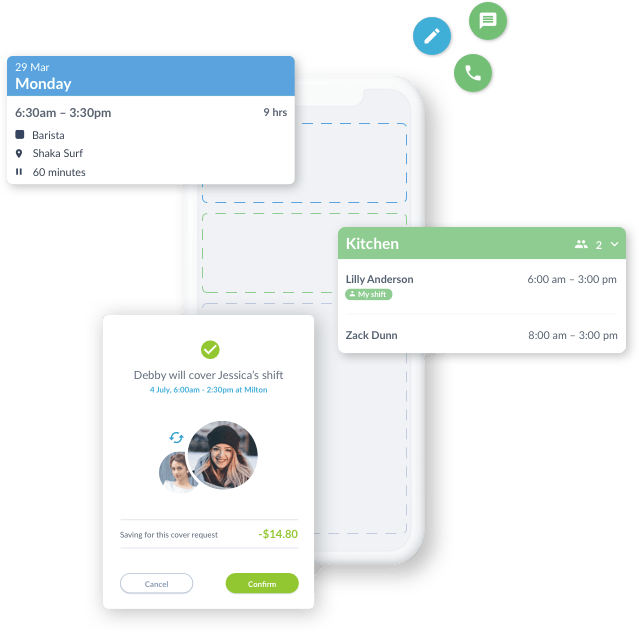 Let your employees tell you when they can’t work a shift, and choose to notify all available staff in a single click. Skip the ringaround and let the Employee Scheduling App find a replacement for you. "The fact that myself and my staff can access everything in one simple app, makes everything so much easier for all of us."